Jason Hartman is joined by author of The Naked Interview: Hiring Without Regret, David Jensen to talk about the often difficult and uncertain process of hiring employees. David noticed there are two common deficiencies in businesses, marketing and personnel. Focusing on the hiring, David talks about the “Ten Truths” that help businesses take the proper steps to hiring good employees. He recommends employers fully evaluate what they need before posting a position and then provide a thorough job description so that potential employees know what is expected. He goes on to cover some of the best interview questions to lighten up the atmosphere and draw more honesty and creativity out of the interviewee. David also shares important tips for on-boarding new employees. 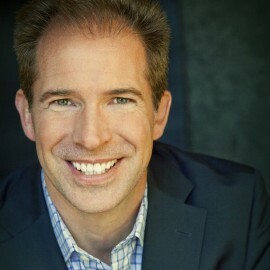 David Jensen is an Author, Speaker, Consultant and Founder of The Hiring Academy. He began in the Human Resources industry as an executive headhunter, top performing recruiter and efficiency consultant. He then worked in the entertainment industry as a Talent & Literary agent before returning to his business expertise at UNlimited Inc. Consulting. There he blazed a path for small business owners by co-developing the BSA (Business Situation Analysis). This survey zeros-in on specific issues at a shockingly quick pace, usually within an hour! The results guide effective consulting to empower business owners to expand without becoming further overworked. David observed, after hundreds of clients, that the two most common problem-areas found were Marketing and Personnel. He recognized there were already a plethora of marketing experts but there was no Hiring Expert or codified, workable system for hiring the right people. Business owners consistently said “I Hate Hiring!” So he literally wrote the book on it . Concurrently he founded The Hiring Academy with the purpose of helping business owners and HR Executives simplify the hiring process. He delivers an abundance of content in seminars, the Hiring System materials and consulting. Mr. Jensen sits on the Board of Directors for UMS Banking (Merchant Services) and is actively involved in several charitable organizations; including Rock for Human Rights and Project HOOD. He enjoyed coaching High School basketball for over a decade, winning multiple Championships, ESPN coverage and Coach of the Year honors.Born and raised in Boston, MA, he attended Northeastern University before moving to Los Angeles, CA where he still resides with his wife of twenty years and two sons.